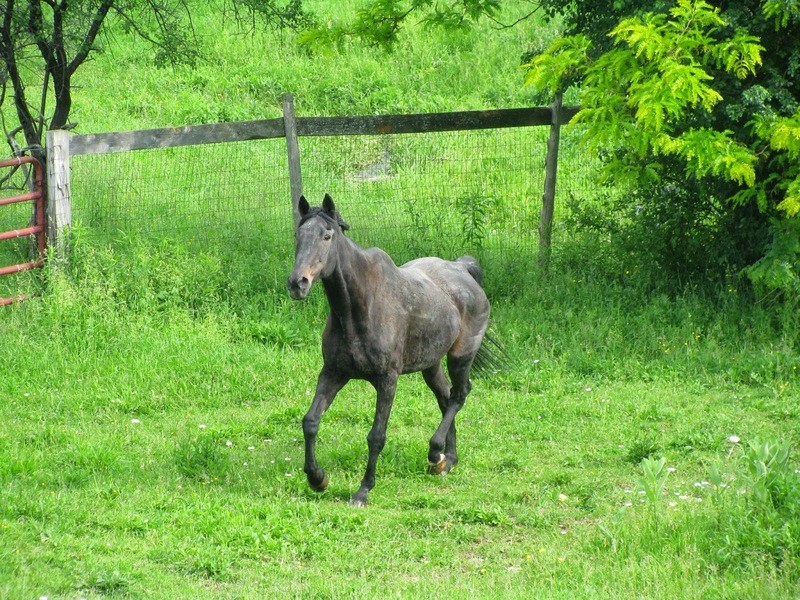 At Spring Farm CARES we began our journey as a rescue and retirement facility for horses. As we were working with these magnificent animals, we realized early on that we were not the ones doing the rescuing but indeed were the ones being rescued. 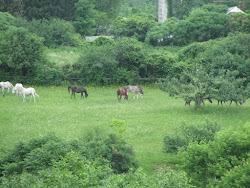 Our herd once stood at 38 horses. Their hearts and hoof beats fill the farm forever with comfort, just as an infant feels in the womb, while hearing the steady cadence of it’s mother’s heart beat. Today, that herd stands at 25, mostly all elderly and/or having special needs and requiring specialized care. Through natural attrition we lowered our numbers so that we could devote ourselves fully to their needs and care which naturally increase with age. It has been a most humbling and amazing journey to share their lives with them and for them to share their hearts with us. 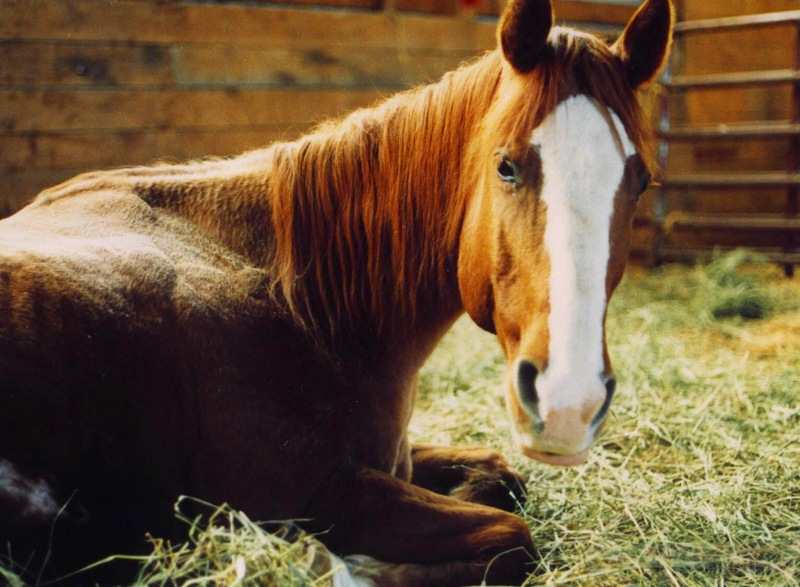 Horses are deeply spiritual and finely tuned and connected to one another and to this planet as a whole. They are majestic. They are ancient in their wisdom. And they give endlessly of themselves to their human brothers and sisters. Horses have stood by us humans, served us in peace, fought beside us in wars, been overused and misunderstood by us – yet they continue to partner up with us. When we began working with them, we were struck by the fate that most of them met. They were used until their bodies could give no more. Some were raced and shown while others were work horses pulling carts and logs and hauling people around. Some were bred until their bodies could no longer maintain a pregnancy. And then their “useful” days were over and they were disposed of. Many went for auction and on to slaughter. Some of them weren’t even old but their bodies had been carelessly misused, compromised, and destroyed. They could no longer meet the needs of the humans who used them. They were at the end of the road with nowhere to go. We began to see that this wasn’t just a few horses, but thousands and thousands of them a year. Hundreds of thousands. Cast aways. Thrown out as if they were a discarded old piece of machinery. We knew we couldn’t save them all as we had limited resources and space. But we could help where we could and more than that, we thought we could share with the world about the heart of the horse and the magnificent beings who have literally changed the lives of so many humans for centuries. Horses have been a constant friend to humans as humanity has progressed through so many phases of our own development and history. And we humans frequently take for granted just who they are and what they have given and continue to give to our own development. What we didn’t know when we started out creating Spring Farm CARES was how deeply they would touch our lives, honor this land, and guide us on to who we are now. Horses listen to and understand at the deepest heart level. They have a way of touching humans and showing us, indeed reminding us, who we are. They ask the question, “Who are you and where are you going?” And they patiently and quietly wait for an answer. If you stop to share a moment with them, they will share their hearts with you and walk with you steadfastly beside you – never wavering with their loyalty and compassion. Horses are huge – in body – and in spirit – and in heart. You can have the most difficult day in your life and go out and hug your horse and feel the grounding energy fill your body and replace chaos with peace. They have the energy of ancient trees and the wisdom of old stones. 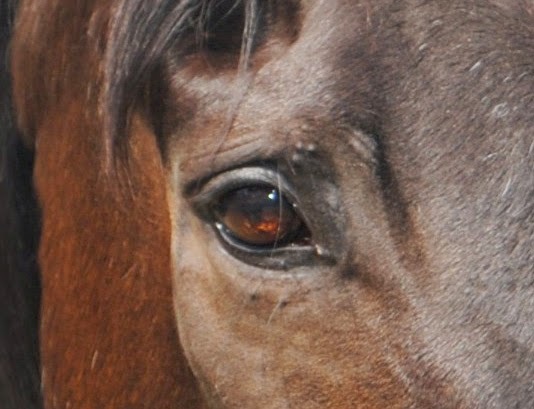 They are mirrors to what lies deep within our own hearts and to truly know a horse is to face all those things about ourselves that we are sometimes afraid to look at. They are healers. They are teachers. They are fellow travelers in life. Horses are the backbone of this farm. They hold the space for all else to happen. It is because of them that we are here and it is their strength that keeps us moving forward and steadies our sometimes weary hearts. We owe them a lot and are honored to have them with us to guide us and share their wisdom. What Do Animals Teach Us about Being Better Humans? I don’t know about you but some days we look around us and wonder just what the heck mankind is doing. It is easy to lose hope and to feel lost. We look around at the destruction of our environment, the horrific ways many of the animals are mistreated or disregarded. It is easy to see so much that is negative. Great calamities wrought by a changing climate, weather patterns reeking havoc all over the world – floods, fires, mudslides, drought. We seem to live in a world of great extremes. The animals have never separated themselves apart from nature, the environment, the planet, or one another. They walk this earth knowing that all is connected. It is humanity that has ostracized itself, disconnected from, and all but forgotten that we are all One and all connected and in this together. But that can change. We are awakening to something greater than we understand or comprehend. When the human heart opens and is allowed to breathe of its true nature, we find our connection and Oneness with all. The rest of Nature hasn’t walked away from us. We walked away from that Oneness ourselves. And the amazing thing is that all the rest of Nature is waiting to welcome us back into the fold. In spite of the havoc our indifference causes and has caused, there truly is no separation other than what humanity has perceived of itself for the past millennia. The animals are looking to us to reach past our own inner pain and suffering and to remember the love and the hope and the Oneness of Life. And, like the loyal canine companion awaiting our return home, they prepare to welcome us home with freedom and wild abandon of their hearts – celebrating that we are all together again – whole. With all the pain we cause them, often thinking that if they can’t speak they must not feel it, or that they do not understand or are less than humans, even with all of that, they still find hope and a reason to bestow their unconditional love on our hearts and try to help us find our way home. It's as if they try to show us the best of who we are so that we can one day be the best that we can be and to remember the truth of Life – that we are all One. A reader submitted this question and Dawn Hayman answers. Q: Do you believe that life sends us messages through people or things? Signs, as some people call them. I have received many signs in order for me to prepare myself for the death of a loved one - many messages since April. I could say one after the other. The last one was one month ago. It was a very clear message. I told myself: this is it. Nothing has happened so far. What is this? Is life playing tricks on me? A: I fully believe that Life, Spirit, the Universe - whatever words you want to use to describe it – is always sending us messages. However, we don’t always recognize when we have received an answer or put the answer into the appropriate context. Many times, we are given information that is about our own personal growth, but then we read it through a context of fear. For example, you may be receiving messages that you need to prepare for a loved one’s passing, but that passing may not be imminent. But the Universe may be sending you the piece of growth that needs to happen within yourself so that you can then process whatever you need to process within yourself for when that time comes. Frequently, we ask for help, and then when we get it, we run from it. It’s the old adage “Be careful what you wish for, you may get it.” Like a person who says to the Universe, “I hate my job! I need to be doing something I really like.” Soon after, the person loses their job unexpectedly and instead of seeing that as the movement that needed to happen to find something better, they bemoan “Everything always goes wrong for me and I never can find happiness. I am doomed to be stuck in something I don’t like.” When in fact, the path to finding the better job they were asking for was just presented to them. Many times we see these gifts of Life or the Universe through our own fears. It is a given that we will face the deaths of those we love. Our fears around that are often reflected then in how we read messages that are given to us. If we are afraid of what we’ll do when one of our loved ones passes, and the Universe sends us a message through someone or something that is to convey the message that -“when your loved one dies, you will be fine”- we may actually hear that through our own fear and translate that to - “Your loved one is going to die soon.” In other words, our own fear is blocking us from hearing the actual message. I have heard people say, “I never get any messages like that given to me.” But I think that is very unlikely. The truth is that Life communicates to and through us constantly. We are not alone in this world. We have guides and helpers all along the way. And when we ask for help, they do answer. The question really is are we listening? Do we hear their answer? And do we hear it in a way that is not mistranslated through our own fears and apprehensions? If we pose a question to the Universe, to Life, to Spirit, we will be answered. But it is also up to us then to listen for the answer. After our facility suffered a fire in 1993, the Universe was providing us with message after message to move forward and continue on the path. It would have been far easier to quit at that moment. We had lost everything. And there was no obvious, clear path to move forward. But the Universe kept telling us this was a chance for a new beginning. “Trust!” the universe screamed at us. I remember we were doing salvaging for long hours, for weeks, shoveling through the ash of the ruins of our building that burned to the ground, looking for anything of value to us. There was one particular piece of jewelry that Bonnie was hoping to find. A gold snake pin with several stones that was given to her as a gift and held special meaning for her. We looked and sifted through the place where it should have been but found nothing. And then, they simply vanished. They didn’t fly away. They were just gone. But the pin was very real in my hand. The lesson from Spirit went deep into my heart. I was done digging in the rubble and now it was time to move on. Time to trust that we would rise beyond the ash, which of course, we did. Life, Spirit, the Universe, does not play tricks on us, although it does have a great sense of humor and a love for play. But it is not deceitful. “Ask and you shall receive.” That is the very nature of Life, Spirit, the Universe. But the listening to and interpretation of the answers and the journey we then follow is totally up to each one of us. That is our individual journey and our learning experience in Life. Listen. Trust. Believe. It is a journey that each one of us embarks upon each in our own unique ways. And Life, Spirit, the Universe, is always there cheering us on. The following question was submitted by a reader looking for help with the recent loss of his beloved dog. I lost my dog and light of my life Bonnie the night before last, I have been away at college and I didn’t get to say good-bye. I feel so heartbroken and lost, almost like the light has gone away. She was part of my family for nine years. I’m not sure what to ask.....but for some reason I felt I had to send this email. Do you have any advice? The pain of losing someone we love is always difficult. But the animals have taught me so much over the years about grief and healing. Its all about trusting our heart connections and letting the very light that you feel is now gone from your life, back in, to your heart. The perception that you weren’t there when your friend passed is also hard and probably makes you feel even more disconnected. However, there is a powerful truth that the animals have shared with me over the years that I’d like to share with you. That truth is that our heart connections are very real and transcend time and space. So what does that mean? And how does that ease your heart? The love and connection you had for Bonnie and felt from her is very real. When she was still alive and you were away at school, I’ll bet that you could still feel her and knew she was there. You knew the importance she was in your life and the place in the heart where she lived and brought you so much love and joy and companionship. You also know that your feelings for her and her feelings for you didn’t diminish one iota because you were away at school. Distance did not interfere with your relationship or your love for her. And in that same way, Bonnie knew you were with her even as she left her body. She never felt separated from your heart. That still holds true now, even when she is not in a physical body. We live in a physical world and the reality is that our bodies are used to touching and seeing and interacting with our friends and loved ones. So when you go home, especially for the first time, and she is not there, it will be painful. When we cannot touch them or see them, our bodies ache for them. And that separation we feel is a physical separation and is the basis for our grief. There is no way around grief. When we love someone and then they are gone from our lives physically, we miss them and we grieve. However, healing comes in when we realize and understand that through our grief, our hearts can still find them. Our love and connection is still very much alive. For love and heart connections are very real energy connections. Picture it as a beam of light connecting one heart to another. That beam is not physical but is made of energy. And energy is the connection between the physical and spiritual world. In the thousands of consultations I have done for people with animals in spirit, the most common message I get from those animals is something that I find very comforting. They tell me that when we think about them, they feel us. Think about the power in that. Because it is a truth of heart connection that is the source of healing our aching hearts. They still feel our love and we can still feel theirs. That doesn’t mean that we won’t still miss them. You will miss Bonnie and all the things about her. But from your grief, try to spend some time on your memories of joy and all the laughter and comfort she brought to you and your family. I’ll bet you all have incredible memories that make you all smile when you think of them. And you all have individual moments that were special just between you and Bonnie. Allow yourself to remember those things. And when you do, also allow yourself to feel the love you still have for her and acknowledge the place she holds firmly in your heart. Because as you do that, she will feel that from where she is in spirit, and she will return that love to you and you WILL feel it in your heart. Our heart connections are real and they are eternal. They are unaffected by time or space. And the place that Bonnie holds in your heart and in the life of your family is forever secure within her heart and soul. That is the absolute truth. It is what thousands and thousands of animals have taught me over many years. Grief is a process that will ease with time and get better. Love is a connection that is forever. What a blessed and lucky dog Bonnie was to be so loved and cherished by you and your family. As I’m sure all of you have been blessed by her as well. 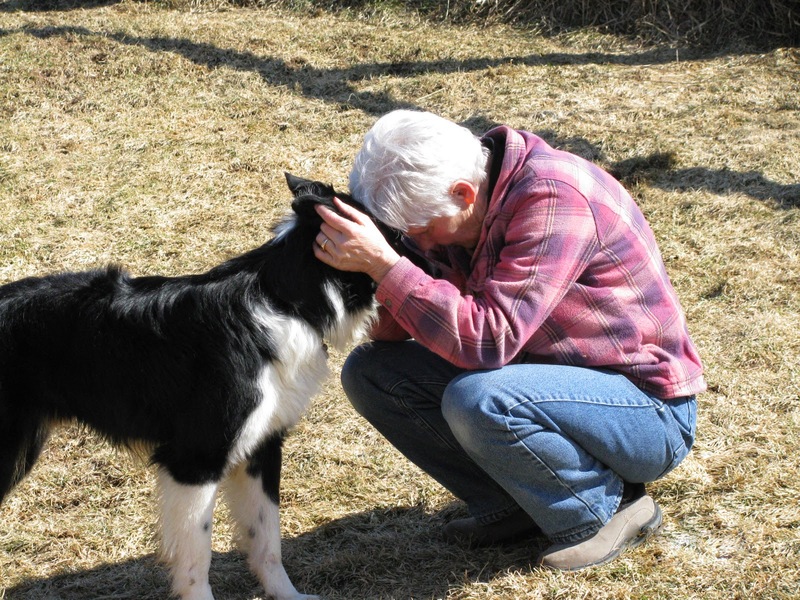 Hoof and Heartbeats is the Animal Communication blog of Spring Farm CARES and co-founder/Animal Communicator, Dawn Hayman. This is where we share the communications, insight, and stories from and about the animals of Spring Farm, from their viewpoint. 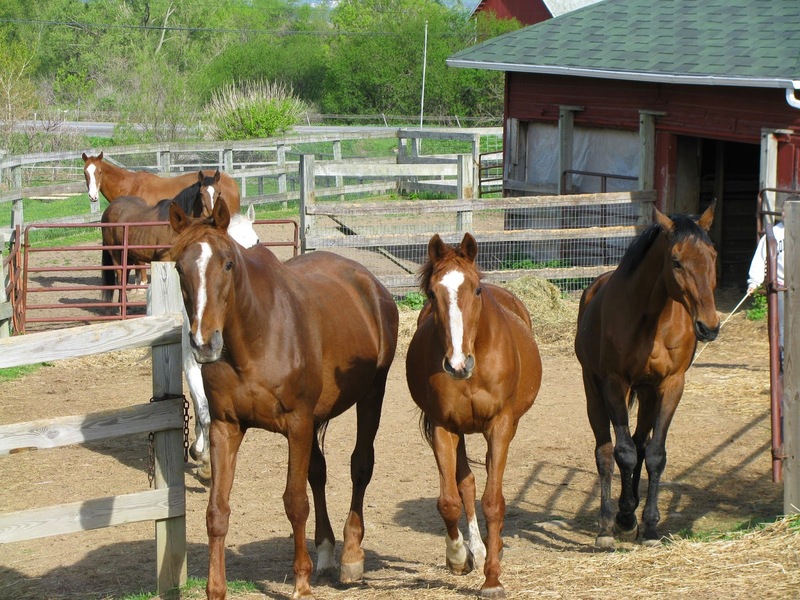 Spring Farm CARES is home to an average of 275 animals including, horses, donkeys, ponies, sheep, goats, dogs, cats, rabbits, ducks and chickens. Dawn Hayman is one of the pioneers in the profession of Animal Communication and has communicated with many thousands of animals over the years, offering unique insight into their world view, daily communications, and spiritual paths. Spring Farm CARES is a 501c3 not-for-profit organization. Along with the animal sanctuary, we also have a Nature Sanctuary, Spay/Neuter Assistance Program, and Humane Education Program. To learn more about the farm, go to http://www.springfarmcares.org. Copyright Spring Farm CARES 2012. Theme images by gaffera. Powered by Blogger.